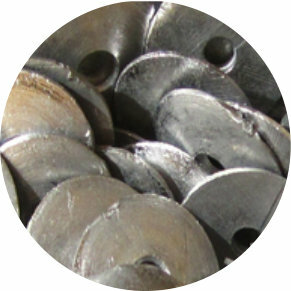 As Alborch y Vidal Ltd, we are a company with more than 20 years of experience in the manufacture of lead weights, being distributed equally on the national and international market. Our company`s philosophy is based on three main principles: Experience, Quality and Good Service. • Experience: with more than 20 years in the business. • Quality: we use first quality raw materials to explote the product`s final presentation. • Service: we minimize production and fit to our clients expected delivery standards. 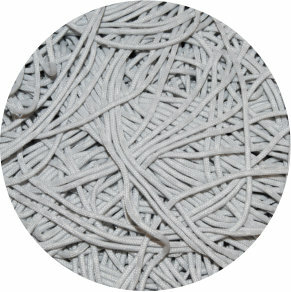 Our main custsomers come from Rope making, haberdasheries or textile Industries. Despite this fact, our experience and hard working character allows us to be open to any expectations, such as other markets, to do with manufacture of special pieces on a placed order. In the same way, our department of I+D+I is constantly changing and improving, always trying to adapt and maintain all production procedures with the best technology available, minimizing residuals and taking care of the enviroment. “With a sustained vision in teamwork, we approach each client with solutions designed exclusively for their needs”. We have at the disposal of our clients a team of professionals who are constantly improving to be able to offer the best service. 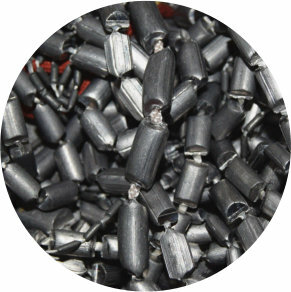 Covered lead wire For haberdasheries we offer covered lead wire and string, round and long leads. These products are perfect to maintain the textiles pieces in place, to work as a counterweight or to assure the fall of the materials. 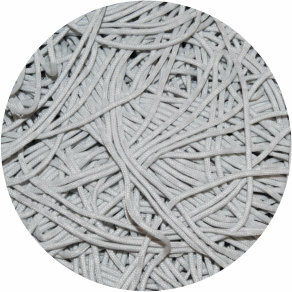 ECOPES - string and rope lead wire For the textile manufacture we can offer string and rope lead wire, long leads and the ECOPES, ideal to give the fall to curtains and net curtains. Covered lead wire and string, round and long leads We produce fishing net lead rope and continuous lead wire, excelent to ballast for specialist fishing applications. String and rope known for their resistance and strength. Our main clients belong to the sectors of the rope, textile and haberdashery. Although our experience and entrepreneurial character allows us to be open to any sector, including the elaboration of special pieces on demand.